One of the world’s foremost classic car experts, respected technical authority, restorer and historian, Iain is also an accomplished creative performing artist; blessed with more than his share of talent. He is constantly in demand both for his expertise and knowledge of classic cars, having been called upon from all corners of the globe, and for his talents in performing arts. 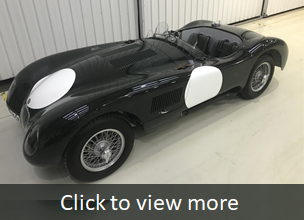 Virtually anyone involved with the world of classic cars will be familiar with Iain’s name, the depth of his knowledge of the classic car industry and the exceptional quality of his work. He is the quintessential classic car expert, and is now a ‘go-to’ reference for some of the world’s most coveted car manufacturers. He has been called upon as a Technical Reference Judge at highly prestigious car Concours events across several continents. 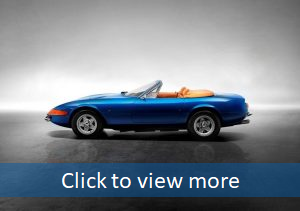 In 2004 Iain founded Cheshire Classic Cars in the UK. The business was shaped and directed by Iain and his business partner until early 2018, when he then established Iain Tyrrell Consulting. One of Iain’s calling cards in recent times has been the unearthing and authentication of ‘the’ iconic Lamborghini Miura from the 1969 classic film The Italian Job, which was widely reported in the world’s media. From his early beginnings in a Rolls Royce and Bentley workshop, Iain now brings together his extensive knowledge and more than 35 years’ hands-on experience to assist discerning collectors and organisations through his personalised portfolio of services. 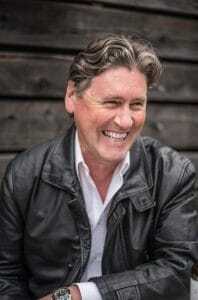 Iain’s passion for the performing arts stretches all the way back to 1979 when he started out doing amateur dramatics. Following years of study and live performances, Iain is in demand for a range of work, from charity concerts to TV programmes and voice-overs. He was professionally operatically trained in voice discipline during the 1990’s. No stranger to high profile performances, Iain was once contracted to sing with American jazz legend Ben Tucker and his band in the U.S. Ben’s band accompanied Iain at venues in the Southern U.S. and live on NBC TV. Other artists such as Ravi Coltrane also performed with Iain and Ben at this time. Tucker openly referred to Iain as ‘the Frank Sinatra of Europe’ – high praise indeed! Another car aficionado Ben played with was Miles Davis. After unearthing ‘the Italian Job Miura’ in 2015, as a bit of mischief Iain returned to the studio with his friend, blues guitarist and composer Steve Wright, and they recorded their own version of the song that is forever linked with the car; On Days Like These. All Iain’s and Steve’s proceeds from this recording go to charity. Downloads are available from iTunes, Amazon music and Spotify.